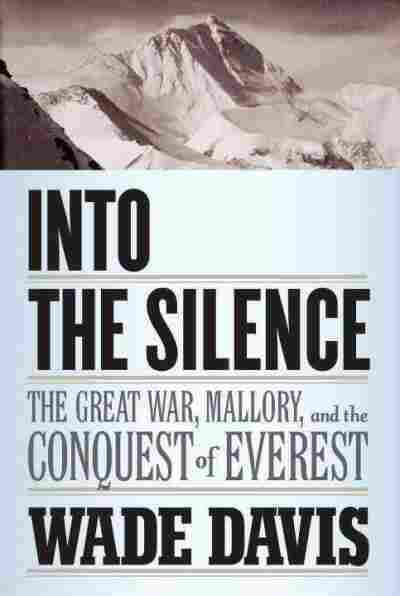 Into the Silence NPR coverage of Into the Silence: The Great War, Mallory, and the Conquest of Everest by Wade Davis. News, author interviews, critics' picks and more. October 8, 2012  Novelists Daniel Woodrell, Christopher Moore and Chuck Palahniuk confront the darker sides of life with varying degrees of humor, while writer Susan Orlean looks at the life of dog star Rin Tin Tin, and Wade Davis reassesses George Mallory's historic climbs on Mount Everest. On the morning of June 6, 1924, at a camp perched at 23,000 feet on an ice ledge high above the East Rongbuk Glacier and just below the lip of Everest's North Col, expedition leader Lieutenant Colonel Edward Norton said farewell to two men about to make a final desperate attempt for the summit. At thirty-seven, George Leigh Mallory was Britain's most illustrious climber. Sandy Irvine was a young scholar of twenty- two from Oxford with little previous mountaineering experience. Time was of the essence. Though the day was clear, in the southern skies great rolling banks of clouds revealed that the monsoon had reached Bengal and would soon sweep over the Himalaya and, as one of the climbers put it, "obliterate everything." Mallory remained characteristically optimistic. In a letter home, he wrote, "We are going to sail to the top this time and God with us, or stamp to the top with the wind in our teeth." Norton was less sanguine. "There is no doubt," he confided to John Noel, a veteran Himalayan explorer and the expedition's photographer, "Mallory knows he is leading a forlorn hope." Perhaps the memory of previous losses weighed on Norton's mind: seven Sherpas left dead on the mountain in 1922, two more this season, the Scottish physician Alexander Kellas buried at Kampa Dzong during the approach march and reconnaissance of 1921. Not to mention the near misses. Mallory himself, a climber of stunning grace and power, had, on Everest, already come close to death on three occasions. Norton knew the cruel face of the mountain. From the North Col, the route to the summit follows the North Ridge, which rises dramatically in several thousand feet to fuse with the Northeast Ridge, which, in turn, leads to the peak. 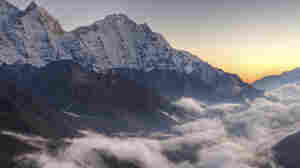 Just the day before, he and Howard Somervell had set out from an advanced camp on the North Ridge at 26,800 feet. Staying away from the bitter winds that sweep the Northeast Ridge, they had made an ascending traverse to reach the great couloir that clefts the North Face and falls away from the base of the summit pyramid to the Rongbuk Glacier, ten thousand feet below. Somervell gave out at 28,000 feet. Norton pushed on, shaking with cold, shivering so drastically he thought he had succumbed to malaria. Earlier that morning, climbing on black rock, he had foolishly removed his goggles. By the time he reached the couloir, he was seeing double, and it was all he could do to remain standing. Forced to turn back at 28,126 feet, less than 900 feet below the summit, he was saved by Somervell, who led him across the ice-covered slabs. On the retreat to the North Col, Somervell himself suddenly collapsed, unable to breathe. He pounded his own chest, dislodged the obstruction, and coughed up the entire lining of his throat. By morning Norton had lost his sight, temporarily blinded by the sunlight. In excruciating pain, he contemplated Mallory's plan of attack. Instead of traversing the face to the couloir, Mallory and Irvine would make for the Northeast Ridge, where only two obstacles barred the way to the summit pyramid: a distinctive tower of black rock dubbed the First Step, and, farther along, the Second Step, a 100- foot bluff that would have to be scaled. Though concerned about Irvine's lack of experience, Norton had done nothing to alter the composition of the team. Mallory was a man possessed. A veteran of all three British expeditions, he knew Everest better than anyone alive. Two days later, on the morning of June 8, Mallory and Irvine set out from their high camp for the summit. The bright light of dawn gave way to soft shadows as luminous banks of clouds passed over the mountain. Noel Odell, a brilliant climber in support, last saw them alive at 12:50 p.m., faintly from a rocky crag: two small objects moving up the ridge. As the mist rolled in, enveloping their memory in myth, he was the only witness. Mallory and Irvine would not be seen or heard from again. Their disappearance would haunt a nation and give rise to the greatest mystery in the history of mountaineering. Never did Odell doubt that they reached the summit before meeting their end. Nor did he question the sublime purpose that had led them all to cross hundreds of miles on foot, from India and across Tibet, just to reach the base of the mountain. Odell wrote of his two lost friends: "My final glimpse of one, whose personality was of that charming character that endeared him to all and whose natural gifts seemed to indicate such possibilities of both mind and body, was that he was 'going strong,' sharing with that other fi ne character who accompanied him such a vision of sublimity that it has been the lot of few mortals to behold; few while beholding have become merged into such a scene of transcendence." On the very day that George Mallory and Sandy Irvine disappeared on Everest, another party of British climbers slowly made their way to the summit of a quite different mountain and in very different circumstances. At 2,949 feet, Great Gable was not a serious or difficult climb, but it was said to be "the most completely beautiful of English mountains." It anchored the fells of Cumbria, and from its summit could be seen a dozen or more of the rounded hills and rocky crags of the Lake District, where so many English climbers had first discovered the freedom of open space and the feel of wind and rain and sleet on cold hands jammed into cracks of granite and slate. There were some eighty men and women in this solemn party, most of them members of the Fell and Rock Climbing Club, a loose association founded in 1906 and dedicated exclusively to the celebration of the English hills. Among them was the club secretary, Leslie Somervell, whose brother Howard was then with the Everest expedition, and Arthur Wakefield, club president since 1923. Wakefield had served as medical officer on the 1922 Everest expedition and had been the first to rush to the relief of the climbers swept away by the avalanche on the North Col that buried alive seven Sherpa porters. Death was something he knew well. Len, as he struggled over boulders and wet stones in rain so fierce it swept the cape from his back. Considered by many to be the greatest English mountaineer of his era, Young was the mentor of Mallory, and had been responsible for both Mallory and Wakefield securing invitations to join the Everest expeditions. This was his first climb since losing his left leg to an Austrian shell on the night of August 31, 1917, at Monte San Gabriele while serving on the Isonzo Front, in Italy. In time he would summit the Matterhorn with a prosthetic limb of his own design, but for the moment it was all he could do to keep his balance and move steadily up the slope toward the others. A gifted Georgian poet and a fi ne orator, he was here at Wakefield's invitation to help dedicate a bronze plaque inscribed with the names of those members of the FRCC who had been lost in the war, and to consecrate in their memory a tract of some three thousand acres purchased by the survivors and gifted by them to the nation as a living memorial. The actual deeds to the land had been presented by Wakefield to a representative of the National Trust several months before, on October 13, 1923, at the annual FRCC dinner at the Sun Hotel in the nearby village of Coniston. "These title deeds," he had told his audience that night, "represent the lives of those of our members who died for their country, men with whom in many cases we have walked over these fells, and whose friendship we treasured. The cost is great indeed. Sir, we hand these deeds over to you in the hope and belief that future generations will be inspired with the same sense of self-sacrifice and devotion to great ends, even at the cost of self- obliteration, that were shown by those who died and whose monument this is." The names of the dead were then read, as those present stood in silence. Now many of the same company of men and women gathered around a boulder at the summit of Great Gable. Covering the memorial plaque was a rain-soaked Union Jack, the very flag that had flown at Jutland from the bridge of the battleship Barham of the 5th Battle Squadron of the Royal Navy. Before drawing back the flag to reveal the bronze, Arthur Wakefield stepped forward and began to speak of the land, the breath of the moors, the spirit of freedom that had impelled them all to march to war. It was an inspiring address, wrote a reporter for the Manchester Guardian who was present, one that brought all thoughts back to those years of strain and trial and sacrifice. Wakefield's rhetoric was moving, heartfelt, and sincere, but his appearance shocked Young, who had not seen him since before the war. Both were scions of the British elite. Born six months apart in 1876, they'd gone to college together, attending Trinity at a time when no fewer than 195 members of Parliament, fully a third of the House, were Cambridge men, and of these 68 were from Trinity. Young remembered Wakefield as a short, broad-shouldered, curly-haired, good-looking northern lad with an attractive smile, well liked by all. But it was Wakefield's prodigious strength that had led Young to recommend him to Captain Percy Farrar of the Alpine Club and the Mount Everest Committee as a candidate for the Everest expeditions. Wakefield, known to his friends as Waker, was a man who liked to walk. In 1905 he had set a record in the Lake District, traversing Scafell Pike, Helvellyn, Skiddaw, Green Gable, Kirk Fell, Steeple, Red Pike, and a score of other summits, covering some fifty-nine miles with a total vertical ascent and descent of some 23,500 feet in twenty-two hours, seven minutes. He had climbed in Switzerland in 1893, and in the spring of 1894 had encountered for the fi rst time the rock of the Lake District, the Central Gully of Great End. Powerful, cautious, methodical, he never fell. But this was not the man who appeared at Young's side ready to pull back the flag to reveal the names of the dead. What stepped forward was a shadow of the man he had once known, with eyes that appeared to be focused into some distant past, as if on a memory that could not be embraced, a thought impossible to distill. Then, unexpectedly, the weather cleared; as Young recalled, "The sun broke through the clouds as he made his address under the highest rocks, and in the rather silvery gleam, with its faint halo of mist, I saw him for a few moments again as he had been in his very vital and sunnily serene youth." Other witnesses remember Wakefield hesitating and then slowly beginning to sob as the flag drew back to reveal the names of those who had perished: caught on the barbed wire, drowned in mud, choked by the oily slime of gas, reduced to a spray of red mist, quartered limbs hanging from shattered branches of burnt trees, bodies swollen and blackened with flies, skulls gnawed by rats, corpses stuck in the sides of trenches that aged with each day into the colors of the dead. It was, according to Wakefield's son, the last time his father ever displayed human emotion. He would go to his end never speaking of the war, consumed only by abiding hatred of all things German. A Mr. Herbert Cain began slowly to read the names of the deceased: S. Bainbridge, J. E. Benn, H. S. P. Blair, A. J. Clay, J. N. Fletcher ... There were twenty in all, from a club with a membership of 450, men and women, young and very old. Such rosters had become all too familiar. Young had dedicated his recent book, On Mountain Craft, published in 1920, to fifty friends who had died — some on mountains, but most in the trenches. In another of his books, The Mountains of Snowdonia, he recalled innocent times before the war when climbing had the freshness of the dawn and some of the best minds and certainly the fi nest climbers of a generation — George Mallory, Siegfried Herford, John Maynard and Geoffrey Keynes, Cottie Sanders, Duncan Grant, Robert Graves, George Trevelyan, and many others — came together in Wales at the top of Llanberis Pass, at a place called Pen y Pass. By day they would climb and by night they would sing, recite poetry, debate, and argue. In ways impossibly innocent to the contemporary eye, they explored dreams of purity and purpose in a new century where all that mattered was authenticity and beauty, loyalty and friendship. Young was the inspiration for these gatherings, the maître d' and impresario, and from the first in 1903 he recorded each event in a photographic album, which he called the Pen y Pass diary. Of the honed and beautiful faces, the innocent glances — no fewer than twenty- three of the men would be killed in the war, another eleven so severely wounded that to climb again they would have to overcome immense physical impediments, just as Young himself had done. But of the names read with such intense emotion from this memorial bronze on this cold and windswept day, there were two that especially haunted Young. One was that of Hilton Laurence Slingsby, the brother of his wife, Len, who stood stiffly by his side. Geoffrey was twenty years older than she, and as he looked over the rocks and into the mist, he could see the face of Hilton as a young boy of nine when he had first led the lad up this very mountain. He recalled the day — August 20, 1917 — when a letter had reached him in Italy with word that Hilton, after three years at the front, and having already survived a grievous wound, had been "killed in action," a term, of course, that could mean anything. The second name was that of Siegfried Herford, killed at Ypres in 1915. A friend of Mallory's and arguably the fi nest rock climber of his generation, he was, as Young recalled, "a poet at heart," a youth who came and went with the "spontaneity of the wind, so near to the light and wonder of the hills in spirit that his feats upon the cliffs only seemed natural." As much as anyone who came to Pen y Pass, Herford had inspired Young to dream. "With our coming together," he would write, "in that high air all cares seemed to drop from us, like clouds sinking below on that two way view down the pass." The litany of the dead had done much to quell such sentiments. In August 1917, when it seemed to everyone that the war might go on forever, Young recorded in his diary a list of good friends who had died, no fewer than twenty-five, and this left room for those he termed acquaintances; of these there were another twenty- five. Writing from Ypres in 1915, he'd spoken of the dead in more intimate phrases, as noted in his book The Grace of Forgetting. In the new army around us I knew that there were many younger friends, those who would have become the leaders in mountaineering and in our country. I saw in passing Twiggy Anderson, the perfect hurdler and lively scholar, again an Eton pupil; Terrence Hickman of Kings, good friend of so many mountaineers; and J. Raphael the football player, whom I took to Wales to climb, and who ran hard up the steep slopes of all his mountains, springing on his toes, and explaining to me that that really was the correct way to climb. They were killed very near to us, and the news came slowly and fatally. The toll of tragic loss, and not only among climbing friends, kept mounting. Dearest of all, Wilbert Spencer at La Bassée, Kenneth Powell the classic athlete, Nigel Madan a close friend, Werner of Kings, cousins John and Horas Kennedy. On other fronts, C. K. Carfrae, Guy Butlin, the brothers Rupert and Basil Brooke, Julian and Billy Grenfell ... Gilbert Hosegood, very fair and tall, came to me in excitement because he had met his brother by chance as he marched with his company through Ypres; and he walked beside him in talk all down the Menin road. Not long after, I drove him south down the front to visit his brother's grave, a lovely spot, and Guy du Maurier, his brother's colonel, was more than kind to us. We were hardly returned to Ypres when news of du Maurier's death also reached us. Hosegood joined up soon after, to take his brother's place he said; he too fell. Young had been at Zermatt climbing with Herford during the soft summer of 1914, when all of Europe glowed with weather so beautiful and fine that it would be remembered for a generation, invoked by all those who sought to recall a time before the world became a place of mud and sky, with only the zenith sun to remind the living that they had not already been buried and left for dead. Stunned by a mix of emotions — horror, incredulity, morbid anticipation, fear, and confusion — Young returned to London to find "the writing of madmen already on the wall." He recalled, "I attended the peace meeting in Trafalgar Square, the last protest of those who had grown up in the age of civilized peace: and then the dogs of war were off in full cry." Forty years later, near the end of his days, he would write, "After the hardening effects of two wars it is difficult to recall the devastating collapse of the structure of life, and all its standards, which the recrudescence of barbarous warfare denoted for our generation." He had been born to a privileged life, the second son of Sir George Young of Formosa Place, a stately eighteenth- century house of gardens and roses perched on the banks of the river Thames. His mother was Irish, a splendid storyteller and a great hostess, and their home regularly welcomed such luminaries as Robert Baden- Powell, founder of the Boy Scouts and the hero of Mafikeng; the poet laureate Alfred, Lord Tennyson; and Roger Casement, the Irish nationalist and enigmatic champion of human rights who would be knighted in 1911 for exposing the atrocities in the Belgian Congo, only to be hanged for treason in 1916. Of his three siblings, he was closest to his younger brother, Hilton, who would lose an arm in the war. His childhood was one of action and fantasy, endless days outside in all weather and all seasons, among the bitter cherries and silver beeches, the weeping willows and ancient yews of a country setting that inspired within him a love of color and nature, rivers and the wind, mountains and rain. He never practiced religion in an orthodox sense, but all of his life was infused with a celebratory quest for the wonder of beauty and friendship, the sheer vitality of being human and alive. At Marlborough, a school that would send 733 boys to die in the trenches, he was known for his good looks, his poetry, and his remarkable athletic abilities. At Cambridge he became a climber, of both mountains and the Gothic rooftops of the university colleges. His impish side penned anonymously The Roof Climber's Guide to Trinity, thus beginning a long tradition of illicit midnight scrambles over slate and lead and gargoyles. Following graduation in 1898, he went abroad, living for three years in France and Germany and becoming fl uent in both languages. His true affection was for Germany; he translated the ballads of Schiller and the devotional poems of Dietrich Bonhoeffer. In 1902, he returned to En gland to take a teaching position at Eton; there he met the young John Maynard Keynes, who would later join him on climbing trips to the Alps. Young first encountered George Mallory in 1909, at a Cambridge dinner. At Easter he invited Mallory to Pen y Pass, and the following summer the two went off, at Young's expense, to the Alps, where they were joined by Donald Robertson, a close friend and peer of Hilton Young's. They climbed a number of peaks, none more dramatic than the southeast ridge of the Nesthorn, where Mallory nearly died. He was leading at the time, inching his way across fluted ice, seeking a route around the third of the four great towers that blocked the way up the ridge. Young would later recall his sudden astonishment: "I saw the boots flash from the wall without even a scrape; and, equally soundlessly, a grey streak flickered downward, and past me, and out of sight. So much did the wall, to which he had clung so long, overhang that from the instant he lost hold he touched nothing until the rope stopped him in mid-air over the glacier. I had had time to think, as I flung my body forward on to the belayed rope, grinding it and my hands against the slab, that no rope could stand such a jerk; and even to think out what our next action must be — so instantaneous is thought." Miraculously, the rope held and Mallory was uninjured. In another book, On High Hills, Young would remember and praise his companions on that dramatic climb: "To both of them life was a treasure of value; but it was also a talent to be reinvested for the profit of others. Neither hesitated to risk the loss of his share in it, if by doing so he could help to keep the great spirit of human adventure alive in the world." Robertson would die a year later, on a rock face in Wales. A chapel would be built in his memory, and a monument erected within sight of the cliffs where he fell, and a trust established to bring En glish youths to the hills. Such were the sensibilities in the years immediately before the war, a time when powerful and virile men could speak of love and beauty without shame, and sunsets and sunrises had yet to become, as the painter Paul Nash would write, "mockeries to man," blasphemous moments, preludes to death. From Into the Silence by Wade Davis. Copyright 2011 by Wade Davis. 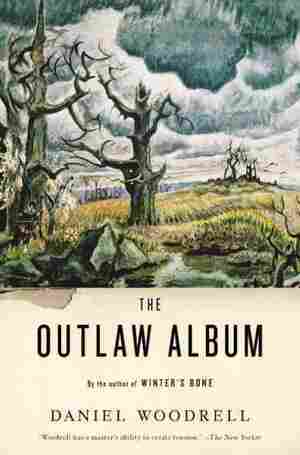 Excerpted by permission of Knopf, a division of Random House, Inc.